Everyone Loves A Good Contest so let WDTgroup show you how to leverage this truth into a buzzing good time for your business. 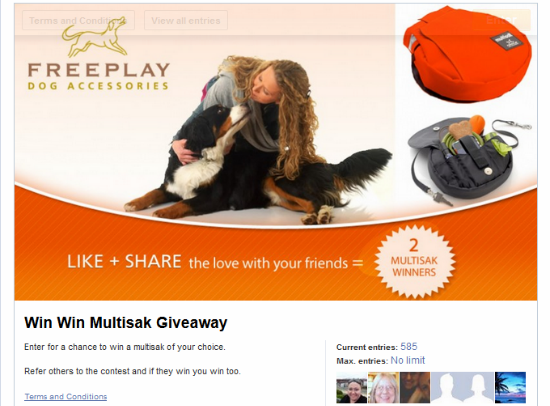 Take Freeplay Dog Accessories for example. The company sells its leash accessory in stores, on amazon and on their website. It is important to create awareness to continue to drive traffic to these points of sale. One thing this product has going for it is raving fans, customers just love the Multisak and are willing to tell their friends. So when Freeplay liked the idea of running a contest it only made sense to incentivize existing customers to refer their friends. Freeplay made a game of the contest by inviting entrants to not only enter for a chance to win but to refer friends and if one of them wins they win too. You can see by the results above entrants spread the word about the contest and handily succeeded at obtaining referrals. 1. After entry – An email is dispatched thanking them and reminding them how to recruit. It also states the reward for doing so including a coupon when they recruit 3 friends. 2. After their first recruit – A congratulatory email is dispatched letting them know exactly who they have successfully referred and encouraging them to continue. 3. After their third recruit – An email is dispatched containing a special coupon only they can use in the companies shopping cart. 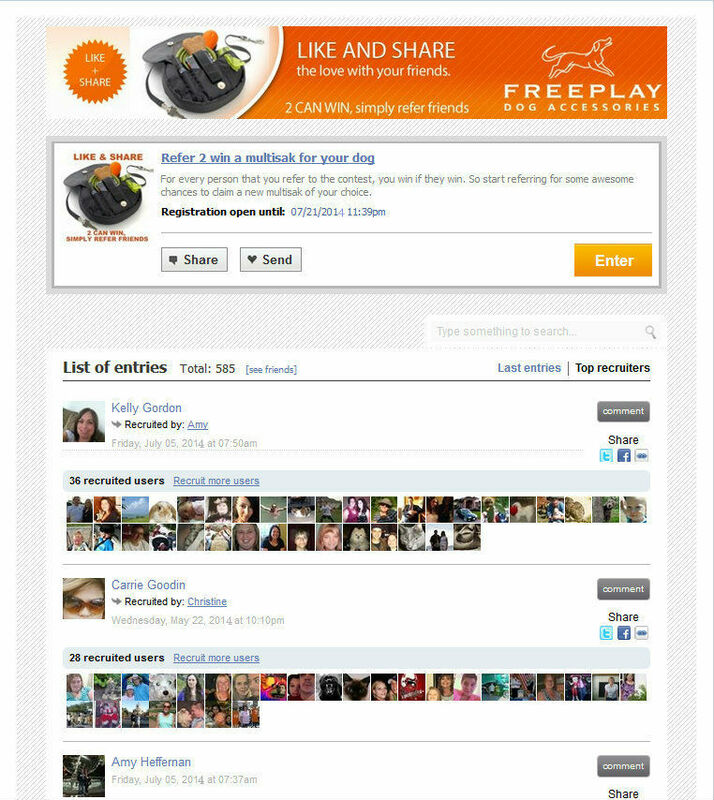 The contest was embedded on Freeplay’s website, Facebook page and shared everywhere via mobile compatible links. WDT wants to connect with you and explore with you ways to make your business do exceedingly well online. Copyright © 2017 WDT Group, All rights reserved.